Just What is Dental Phobia? Dental phobia is a valid normal physiological (body/mind/emotion) response in a healthy human being to an unresolved past trauma, related to and triggered by a frightening or terrifying dental experience. Although labelled as a phobia, it is not at all irrational when understood and the degree of anxiety relates directly to the intensity of the original experience. It is, like all phobias and anxieties, completely healable. As people, we are all susceptible to having phobias and anxious moments touch our lives at some point in time. The trigger can be anything that causes us mental distress really. Be it money issues, personal relationship difficulities, stressful job or a whole lot of other possible things, the impact on our lives can be quite destabilising. As you are reading this page, there is a strong possibility you got here having searched the term “what is dental phobia?” or something closely related to that search. You may personally suffer from this condition or perhaps you know someone who does. Either way, we will try to add some more clarity to the subject and advise what can be done to start the healing process. Do you feel an uneasy feeling when you think about going to the dentist? Do you know that you have a problem but keep put off making the appointment? Do you feel a sense of foreboding when you pick up the phone to make the appointment? Do you tell yourself that your mouth must be ok if you don’t have pain? Do you only go to the dentist when you have pain? Do you feel stupid or silly that you feel fear when thinking about the dentist? Are you embarrassed by some aspect of your smile but just put up with it? Do you cover your mouth when you smile so people won’t notice a flaw or cavity in your teeth? Do you try to put up with pain because of the fear of going to the dentist? For how many questions did you answer yes above? If you answered yes to one or more of the questions you are suffering from some degree of dental anxiety. Anxiety can be mild, moderate or severe. When the anxiety is severe it is often labelled as phobia. How much it controls you tells you the severity. If you are suffering pain but still can’t make the appointment, the anxiety causing your phobia is severe. If you have been putting it off for years, the phobia is severe. People have called this condition a ‘phobia’, saying that it is irrational and without a real reason but this is actually very unfair and completely untrue. There is always a reason for it and it nearly always relates to a bad experience, often in childhood but not always so. The problem experience can be related to a dental visit but again that is not always the case. People think that it’s just the way they are but again that not true. It can be different. You can be different. But, how is it achieved? How can you overcome your dental phobia? It is absolutely possible to overcome all of it and have an easy relationship with dentistry and the dentist. To achieve this, you need a new perspective and a new understanding.Dental phobia in adults and dental phobia in children are similar in nature but need different approaches is solving them. To understand the causes, we need to explain how the body/mind/emotion system works and that is the first part of the solution to the problem. 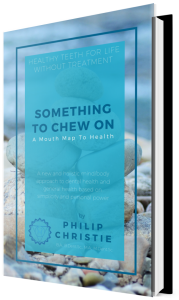 As we go into detail about the mechanism of how dental phobia and anxiety is produced you will begin to notice the pennies drop and you will get many ‘aha’ realisations. These are the foundations of our method that use (MBCBT) mindfulness based cognitive behavioral therapy for dental phobia and anxiety. We call this theMBCBT Anxiety Solution for Dental Fear and it is unique to Dental Health Synergy. HOW TO YOU BEGIN YOUR JOURNEY TO FREEDOM? There are a number of ways that you can go about this. A ‘no treatment’ anxiety consultation visit with me at the clinic can start you on the right path and is a great place to begin. This visit lasts roughly an hour and can be combined with an assessment of the mouth if desired. These consultations can also be done over the phone and on Skype for those living in different countries and for those who prefer not to be in a clinical situation during the consultation. You can also do a version of MBCBT Anxiety Solution for Dental Fear on your own from the comfort of your own home. This will be available shortly. To arrange a dental phobia consultation with me you can use the phone numbers provided in the red boxes at the top right of this page. Alternatively, simply complete this form providing your details and I will personally get in touch with you. 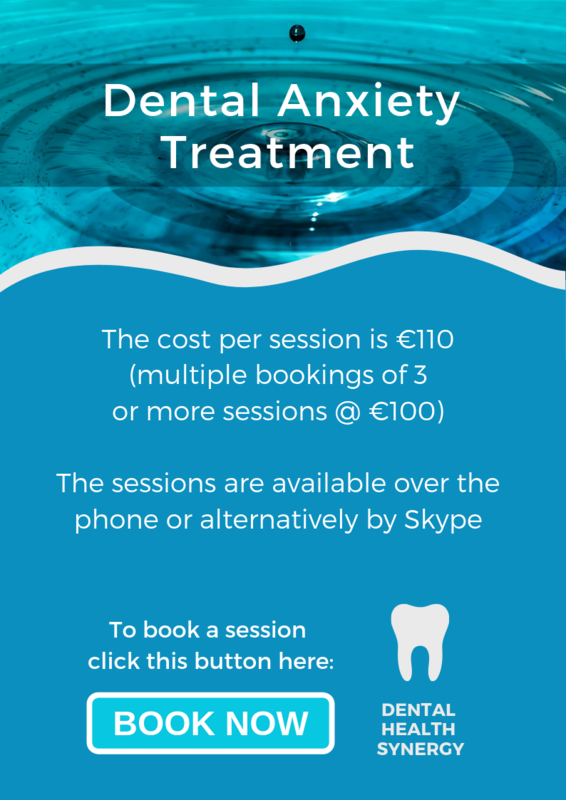 If you feel the need, you can avail of a professional psychotherapist to help you navigate the MBCBT Anxiety Solution for Dental Fear method.